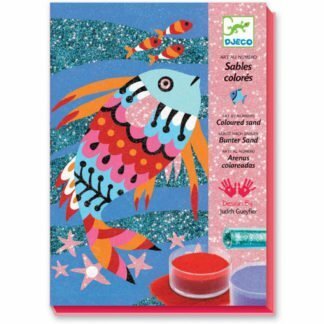 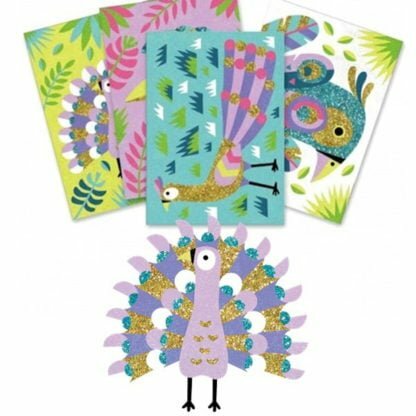 Paint beautiful peacocks with dazzling colours with this sand art birds kit from Djeco that contains glitter as well. 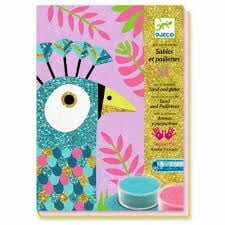 This is a painting by numbers approach – just peel away the numbered stickers to reveal the glue and then pour the sand and glitter over one colour at a time to decorate the pictures. 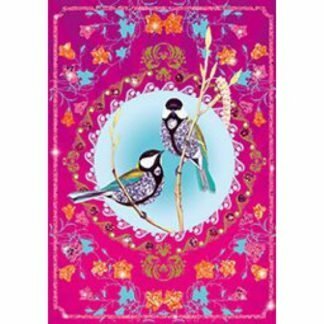 The backgrounds and the colours work really well together and your pictures will look stunning. 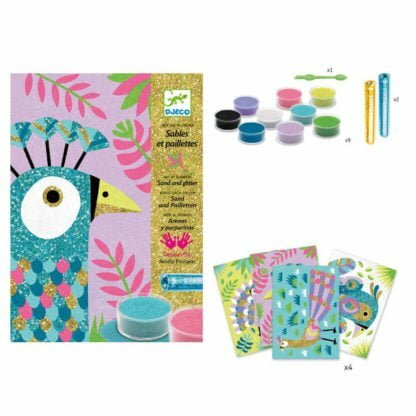 The box also acts as a working space so you don’t make too much mess and will help you pour the sand back into the packs so you can use it again. 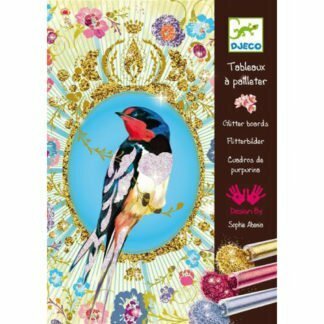 This kit makes beautiful pictures that are easy to create and look stunning. 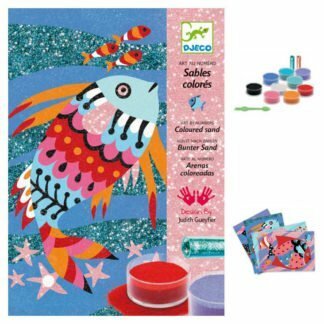 A great kit for a child to explore colour with.